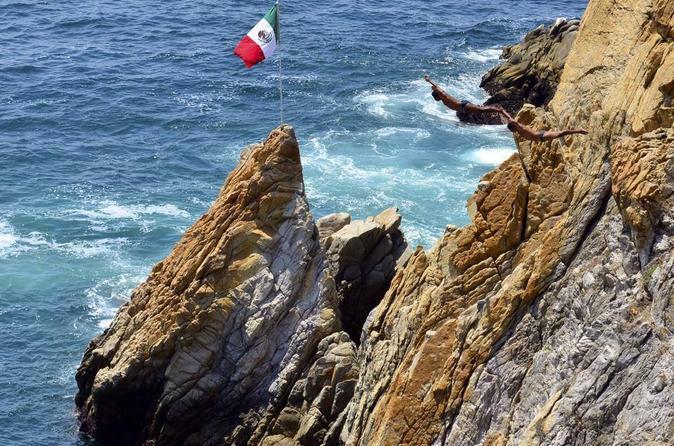 Enjoy a beautiful sunset in Acapulco and watch the famous cliff divers at La Quedrada. Departing from your hotel in Acapulco at 5pm, this 4.5-hour tour will offer you one of the best sunset views in the city. You will be whisked away to the 1960`s world famous Los Flamingos Hotel, the residence of movie star, Johnny Weismueller Tarzan. Enjoy a delicious meal at a restaurant while watching the famous cliff divers at la Quebrada. The dinner includes one domestic drink and dessert. You will be dropped off at your hotel at the end of dinner.